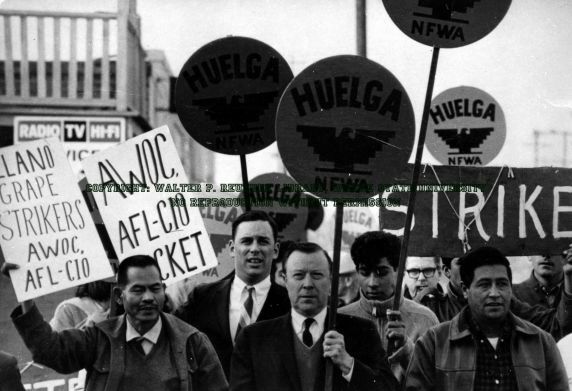 AFL-CIO and AWOC members march in support of farm workers during the Delano strike, 1965. Left to right: Larry Itliong; Michael Peevey, Research Director, California Labor Federation, AFL-CIO; Walter Reuther; unidentified; Cesar Chavez. Obscured behind the signs is Paul Schrade, head of UAW Region 6.